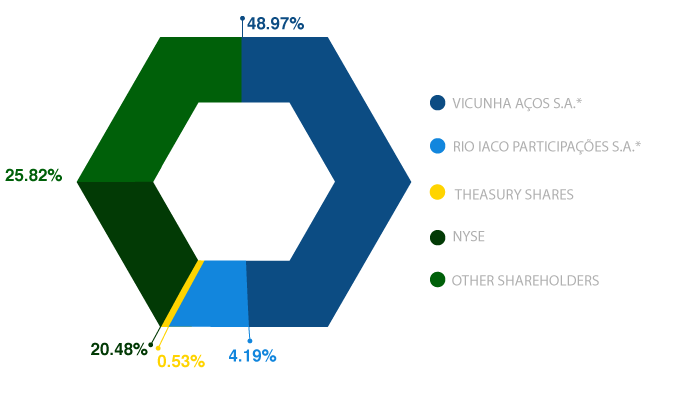 The fully subscribed and paid-in capital stock is R $ 4,540,000,000.00 divided into 1,387,524,047 common and book-entry shares, with no par value. Each common share entitles one vote to the resolutions of the General Meeting. The Company‘s bylaws define that the capital stock may be raised to up to 2,400,000,000 shares, by decision of the Board of Directors.